Billie Lourd, daughter of Princess Leia actor Carrie Fisher, has had one of the worst possible two days imaginable. First her mother passed away yesterday after suffering a heart attack last week, and today she lost her grandmother, Singin' In The Rain star Debbie Reynolds, after she suffered a stroke. As we mourn the two women, our thoughts continue to be with Billie and the unimaginable tragedy she just suffered. 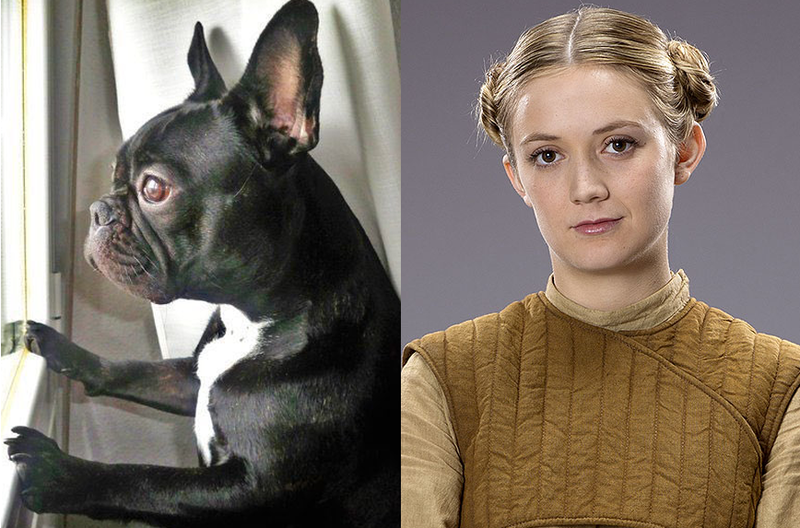 Fortunately, Billie may be able to find some comfort in the form of her mother's beloved French Bulldog, affectionately named, Gary Fisher. Following her mother's death, the Scream Queens star, who also plays Lt. Connix in The Force Awakens and Episode VIII, will be taking care of Gary, according to a report from TMZ. Gary was Carrie's constant companion during interviews, be they at conventions or on late night talk show. He also became a social media star of his own right, currently having nearly 100,000 followers on Instagram. Gary was beloved by Carrie and her millions of fans. We're happy to know that Gary will have a loving home with Carrie's daughter. Click here to read our thoughts and the thoughts of Carrie's friends and colleagues in light of her passing. Gary was Billie's dog first before Carrie took him. She said so publicly in interviews several times.